Kiowa have selected the finest ranges of industrial hose and cable reels from the most respected manufacturers in the world. 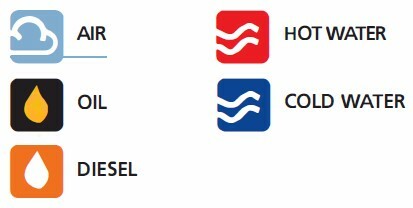 Our product range will give strength, performance, durability and reliability for all industry sectors. 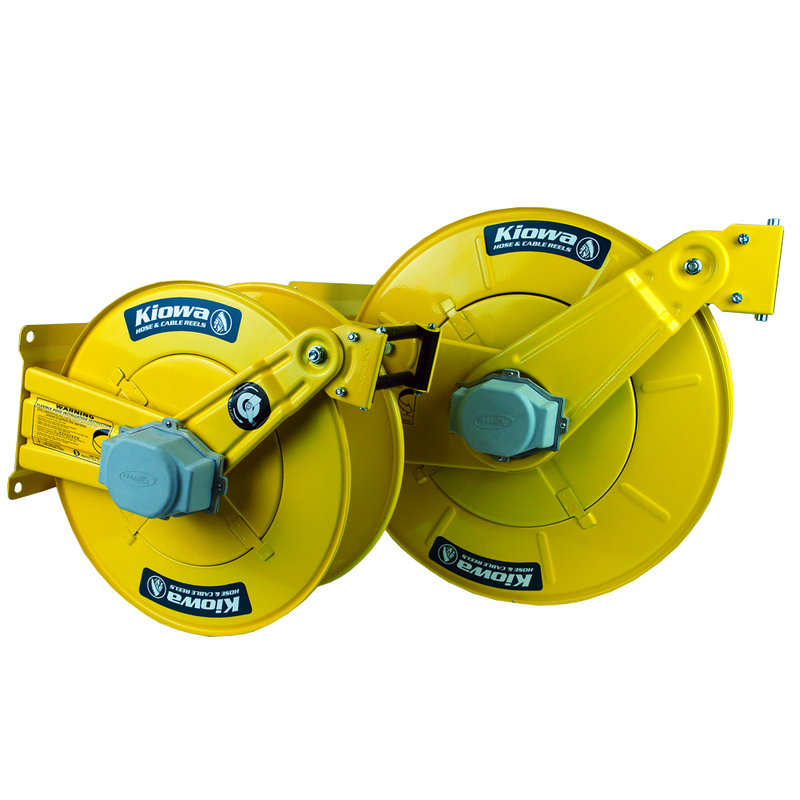 The chances of slips, trips and falls will be greatly reduced with the installation of hose and cable reels. The operator will have total control of their hose and cable from pay-out to retrieval. Your hoses and cables can last up to five times longer which will reduce downtime giving more productivity. The Kiowa spring rewind safety series hose reel in 304 grade stainless steel. The adjustable, slow retraction safety feature takes spring rewind hose reels to the next level in hose management and is fast becoming the new industry standard with health and safety. The superior twin pedestal design and quality component parts provide long term, trouble free service. The adjustable full width roller guides prolong the hose assemblies working life whilst the ribbed side arms give ultimate rigidity during pull out and hose retrieval. Durable nylon hub assemblies allow the main drum to rotate straight and true with adjustable guide arms giving the user various mounting positions. Working pressures are standard up to 3,000psi (200 Bar). Where standard reels might not be appropriate we have the capacity and the capability to source and design bespoke hose reels. We can advise you on the materials and specifications required, ensuring that you get a product or assembly that is the most suitable for your application and budget.